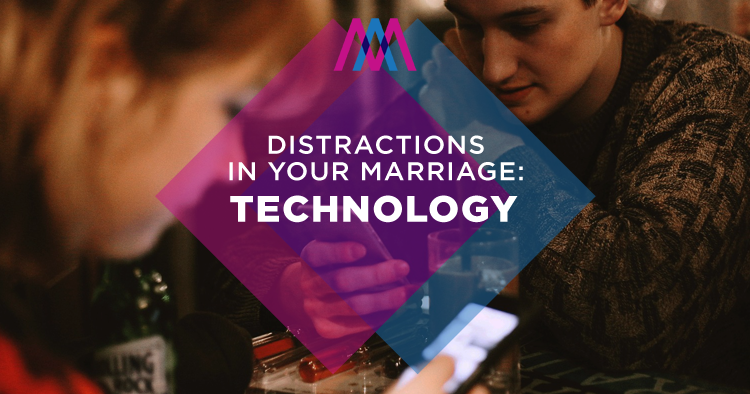 I’m not the first person to say that technology can be a distraction to your marriage. I get that it is and that I struggle with balancing technology in my life just like everyone else. Technology brings good things into our lives as well as bad things. I can connect with anyone almost anywhere in the world in seconds. I can counsel people, encourage them, and teach them in ways that I never imagined possible. I can just as easily connect with things that distract me from life and my marriage. Technology can be an escape, which is not all bad. It depends where we escape and how long we are gone. In a study released by Deloitte in 2015, researchers found that the average American looks at their phone 46 times a day. Collectively that is over eight million looks a day for those of us in the US. Here is the part of the study that interested me the most. Of those surveyed, 89% use their phone during leisure time. 87% used their phone while talking to family and friends. 81% access their phones while eating at a restaurant. I have done all of these and from those experiences, this is what I have learned. If I spend my leisure time on my device, I miss out on interacting with those around me and that often is my spouse. Then if I choose to spend time with my spouse and am distracted by my phone while talking to her, what message am I sending? If it is, “what’s on my phone is more important than you,” I don’t want to send that message. One of the things that connected Nancy and I when we were dating was having meals together. I loved talking with her and looking at her. Today when we are eating together and I am on my phone, what am I missing out on? In my book “7 Secrets to an Awesome Marriage,” I talk about getting balance in your life. I think technology fits into this. If my goal in life is to put God first and Nancy second, then technology cannot work its way into one of those positions. Technology in itself is not bad or wrong, it is how we use it that can move it into one of those categories. Three questions for you today. First, how are you using technology in your life? Second, is it taking away from your marriage? Third, what are you going to do?